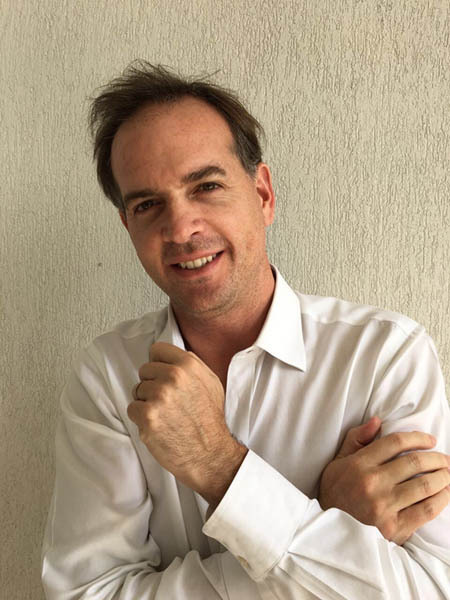 Co-founder of ESA Latin America in 2003, together with his wife Paula, Leandro is at the helm of one of the most influential meeting planning companies in Latin America. With 50 full-time employees spread across offices in nine countries, ESA Latin America is growing at an impressive rate—the company plans on opening several additional offices in the future. Before co-founding ESA, Leandro studied international politics and economics at Harvard University, where he obtained a master’s degree. He’s an active participant of the International Congress and Convention Association (ICCA), the Society of Incentive Travel Excellence (SITE), and the World PCO Alliance. I co-founded ESA in 2003 as a travel company and in 2005 we created a meetings and incentives division. The meetings industry drew me so much that by 2010 I decided to close our individual travel division in order to focus fully on professional meetings and events. What drew me, and continues to draw me to this industry is seeing just how much energy, creativity, inspiration, chemistry, learning, and unity can emerge from experiences in which people come together, in one same space, and immerse themselves in that interaction with one another. A great meeting and event organizer is a social magician. Just like a magician plans her tricks to leave an audience in awe, a meeting organizer plans and executes every aspect of an event to produce an incredibly powerful outcome that must feel completely spontaneous, unique, unrepeatable, and authentic to its participants. If it’s not inspiring and engaging, a meeting shouldn’t have happened in the first place. Technology isn’t going to kill in-person meetings, but it will completely obliterate unexciting in-person meetings, especially those that last several days and even more so if they are international. Who in their right mind in this digital age wants to travel far to attend a meeting that isn’t exciting? Long before I even knew there was such a thing as a meetings industry, I organized social and sports events at my school and university, and seminars, conferences, and fundraisers for non-profit organizations. I’m deeply passionate about people and their interactions. I find this to be the most exciting and powerful force in human existence. My biggest career highlight has been opening our company in 16 cities throughout 9 countries, something that had never been achieved before by a Latin American meeting management company. ESA’s footprint in Latin America is the most extensive that there is for a meeting and event management company, and we’ve achieved this without receiving money from any investors, and with very few and insignificant bank loans. We’ve never tried to franchise our brand or to buy a company. Our growth is the result of having an amazing team that works extremely hard and well together, and that shares a common vision to make ESA a great company for all of its stakeholders: employees, customers, suppliers, partners, community, and the planet. According to ICCA rankings, ESA is now in all of Latin America’s Top 10 cities for association conferences and congresses. Another major career high was organizing the 2017 World Congress of the International Desalination Association (IDA) in Sao Paulo, Brazil for over 1,000 people from over 50 countries. I felt this conference truly left its mark in Brazil, helping raise awareness of some amazingly effective projects in water reuse that are changing the lives of impoverished communities in the country. I’m also extremely proud of our six-year contract with the Poultry Science Association, a US-based organization that is also the world’s largest in its field. We organized their first conference in Latin America in 2016, and will do so again in 2018 and 2020, for roughly 1,000 scientists each time. What is your favorite part of your client relationships? My favorite part is to get to know our clients as people. I’ve had the opportunity to travel with some of our customers, or spend many days with them during an event, and in many cases, that’s cemented a real personal bond of mutual care and respect. Developing bonds with customers is important to me because it motivates me to want to serve them with the loyalty, responsibility, and integrity that all of our customers deserve for trusting in our team to support them. Our team is all about going the extra mile and never feeling that good service is good enough. Like the very name of our company states, ESA is about one thing only: Excellent Service Always. We bring that passion for excellence and that zeal to make wonderful things happen. We’re not about meeting expectations, but about exceeding them. We also bring local connections and prestige, because we will only organize meetings in countries where we are truly local, and where our knowledge, relationships and prestige are very strong. At heart, I’m an Argentinian. But I was born in Brazil, and it’s a country I also feel deeply connected with, and where our company has its biggest team. It amazes me that Brazil is considered to be undisciplined. The country organized the 2016 Olympics, the 2014 FIFA World Cup, and the 2013 World Youth Day with great order and security. Brazil’s financial institutions are very stable, and the country is in fact very orderly. The country’s flag says “Order and Progress” and Brazilians are taught from a very young age to respect those two words and the value of orderly improvement. No other country in the Americas gained its independence without a single shot being fired, and no other Top 10 global superpower has avoided war altogether for the past 150 years. Now that’s true and unwavering self-discipline! It needs to know what it’s trying to achieve. Like in everything, in the organization of an event there are trade-offs. The only way to navigate those decisions is to know which goals have priority over others. It’s normal to want to pursue many goals simultaneously: making money for the association, generating more members, increasing prestige, raising awareness for a cause, etc. But knowing what comes first and what is secondary is essential to drawing up a winning strategy and a winning team. Our team is working to create ESA branches in Costa Rica, the Dominican Republic, Cuba, Ecuador, and Guatemala, as well as in many other countries. We want to improve everything about what we do for all of our stakeholders. I’d like to make a positive difference in the lives of others. I’m mostly hanging out with my wife Paula and our 3 children or trying to be there for them. I very much enjoy the company of extended family and friends. My hobbies are reading, watching terrific movies and TV shows, listening to music, practicing amateur singing, and going for wonderful walks. Dancing and singing with family and friends is the best therapy! What has your World PCO Alliance membership meant to you? What makes it so unique and valuable to both its members and to organization clients? ESA Latin America joined the World PCO Alliance when this international partnership was barely a year old and only had 7 Asian members. We were the first non-Asian company to join, along with four other members. It’s truly been a wonderful journey helping to develop and strengthen this Alliance along with many of my colleagues here who have provided leadership and service to the entire global partnership. The Alliance has been an ideal place to exchange knowledge, experiences, ideas, and best practices. I’ve learned a lot from many of my colleagues in the Alliance and have met many remarkable people. The World PCO Alliance empowers its members to achieve better business results, and that’s why I’m very proud to be a member, and I’m very committed to our partnership. Read last month’s interview with Gregg Talley. Click here to access the article.